How to scramble StoryServer documents. Open a file to import. 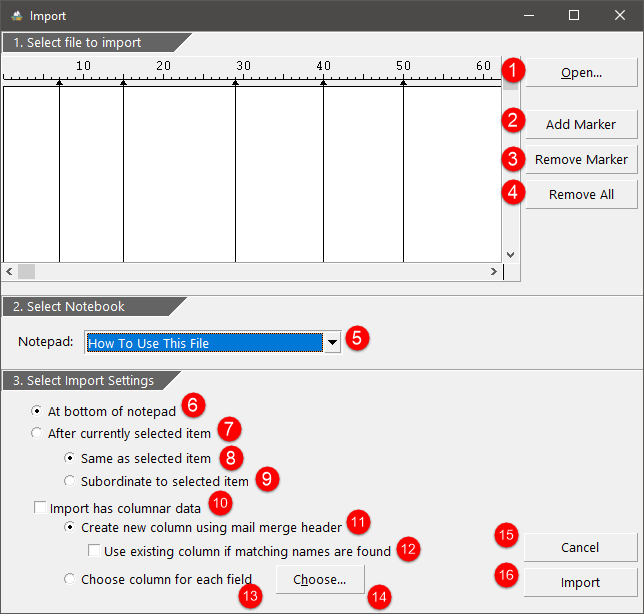 Select a notepad to import to. Add imported data to bottom of notepad? Add imported data after currently selected item. Same level as selected item. As sub-items to selected item. Create new column using Mail-Merge data. Match column names if found. Select columns to import to. All items and view. (everything). 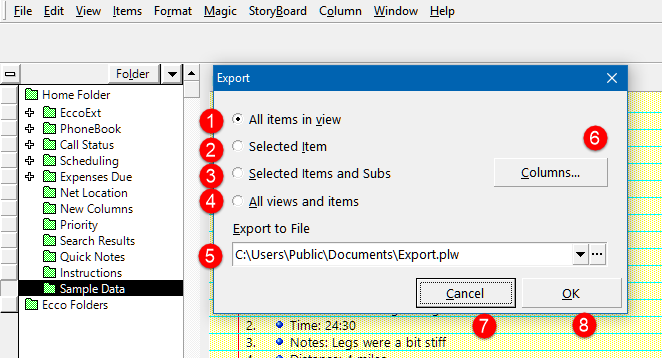 Export data to a file. Archive items. 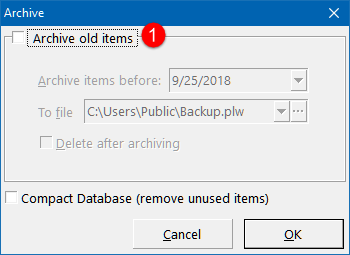 If disabled, it will not archive items. Remove data after a certain date. Compact database to save memory. 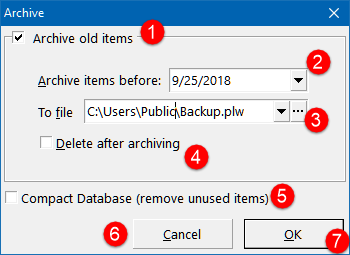 If checkbox is unchecked, the archive groupbox is disabled. This dialog will cause the current file to be scrambled with goobly-gook. Enter the word 'SCRAMBLE FILE' in order to continue. The button Scramble File is disabled. 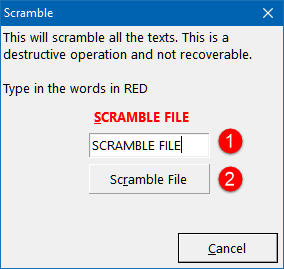 When the text 'SCRAMBLE FILE' is entered, the button 2 Scramble File is enabled. 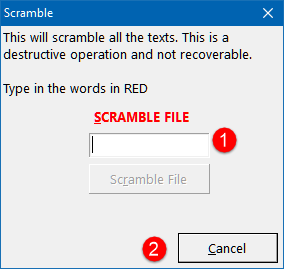 If scramble file is enabled, user can then click OK.